If you suffer from Cystic fibrosis (CF) you know that it is not a pleasant disorder and in some areas of the world is it considered the most common life threatening genetic disorder in children. Unfortunately, this inherited disorder causes an increase in the production of abnormally thick mucus, which clogs ducts in the intestines and the lungs causing shortness of breath, chronic coughs and repeated chest infections. The blockages can also occur in the pancreas (the organ that produces digestive enzymes and insulin) and cause issues of poor weight gain and malnutrition. At present there are no cures for CF, however there are some treatments for helping to reduce the symptoms of infections caused by it. However, with the over use of antibiotics, the two most commonly seen opportunistic bacteria found in the respiratory infections of CF patients are becoming resistant to antibiotics. 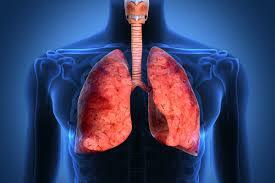 This leaves the susceptible lungs of CF patients at a loss for treatment. These bacteria are known as P. aeruginosa and Burkholderia spp. They can mutate and form a biofilm in the lungs of CF patients, which is essentially a microcolony embedded in the mucus membrane of the patient. A recent study has begun testing with Manuka honey in combination with antibiotics known to kill off these bacteria in their non-mutated state. They have found that when manuka honey is combined with specific antibiotics they work synergistically to destroy the bacteria that is antibiotic resistant. This reduces the amount of the antibiotic needed to treat the infection. The antibiotics used in the study were tobramycin and colistin as they are licensed for use as an inhaled antibiotic for chronic respiratory infections. They found that it is possible to combine manuka honey (Pacific Resources) with these drugs to be inhaled by patients with antibiotic resistant strains in their lungs. This combination could be the perfect solution to biofilms and antibiotic resistant forms of bacteria in CF patients. This study has opened the doors to further research and we hope to see clinical studies that can determine the potential and efficiency of this combination for patients suffering from CF.